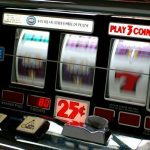 Despite all the modern 5-reel, 3D and such online slots, popularity of the classic slot machines does not seem to be reducing. That is why the famous Microgaming company keeps offering its players a wide range of slot machines types. So, what is their difference from the classic slots? In the classical games both the bets’ rates and the possible winnings are lower than in modern video slots. In addition, the graphics features in such games are more modest and the number of paylines is almost always smaller. However, many players still like the classic slots online, largely due to their simplicity and convenience. By combining the simplicity and the chance of the big win, this slot machine has long been the most popular representative of MicroGaming company. It has only 1 payline, 12 winning combinations, and the size of the jackpot is probably the highest among the classic slots – it exceeds the rate in the game 15,000 times! You will be able to get the jackpot if on the payline land 3 «high-five» signs. By the way, the high-fives also play the role of the so-called wild-card. This means that you can combine them with other symbols to make winning combinations. The beginners who are looking for a simple online slot machine with a clear chance of winning there is probably nothing better than the Diamond 7’s.This one is the simplest game of the modern slot machine. This is the best choice for people who are yet the beginner players because it is possible to get the maximum benefit, which will be 2,500 times higher than your bet. It has only 10 winning combinations. Players can choose the bet size, which ranges from a quarter to 5 dollars.